More often than not, mental health workers are anonymous players in any story about mental health recovery. Understandably, words like “strength” and “courage” are reserved for people who struggle daily with mental health issues, striving to improve their lived experience. This post salutes a team of men and women who work at Montgomery County Emergency Service (MCES), a private, not-for-profit, psychiatric hospital in West Norriton, Montgomery County, Pennsylvania. By day they are crisis workers, case managers, social workers, registered nurses, psychiatric technicians, therapists, and administrators. Busy people with important jobs, for sure. And with the daily challenges of their work, staff members at inpatient psychiatric hospitals rarely have time to breathe, let alone share a cultural experience. 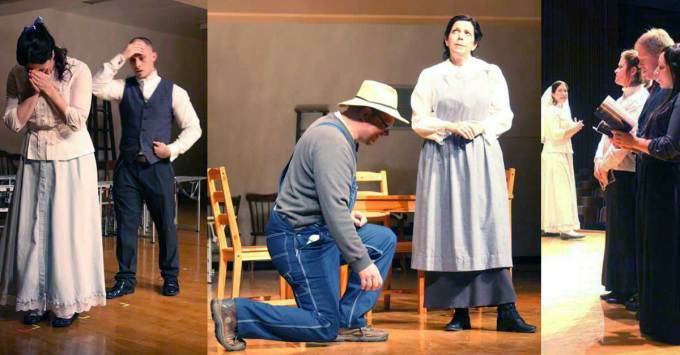 This past fall, however, these men and women stepped way out of their comfort zones and became actors playing country doctors, housewives, newspaper delivery boys, neighborhood gossips, high school sweethearts, and even a drunken choir master, breathing life into Thornton Wilder’s play Our Town. 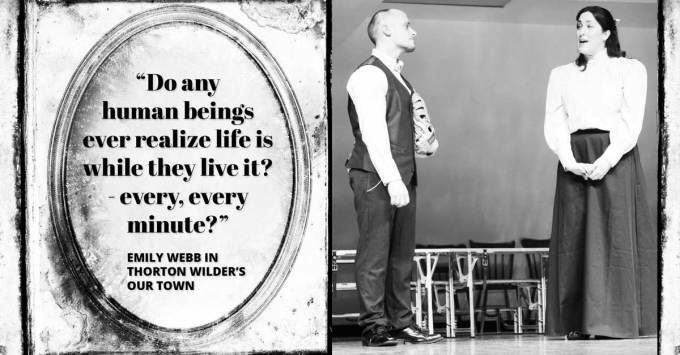 Our Town is a 1938 three-act play by American playwright Thornton Wilder. It tells the story of the fictional American small town of Grover’s Corners between 1901 and 1913 through the everyday lives of the people who live there. 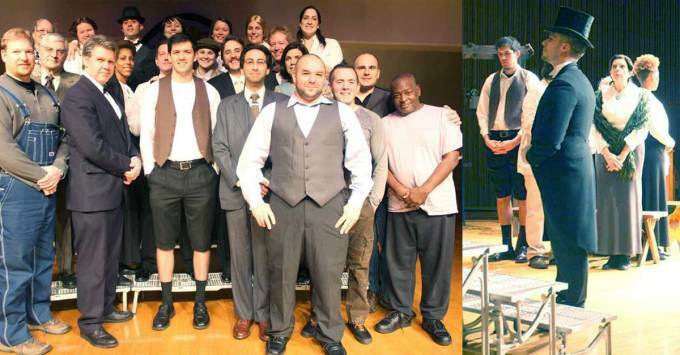 Our Town was first performed at the McCarter Theater in Princeton, New Jersey on January 22, 1938. It later went on to win the Pulitzer Prize for Drama. Gabriel Nathan is a development specialist at MCES. He has a background in theater, and a passion for people. He came up with the idea of the production as a benefit for the hospital’s patients. He’s also the play’s producer and director and he acts in the central role of Stage Manager. But Gabe had another, perhaps more important goal: to create meaningful moments for his colleagues to deepen their connections with each other. He wanted to create an opportunity for actors and audience members alike to pause, breathe, and reflect on the themes of the play: Be present for each other. Be present for your colleagues. 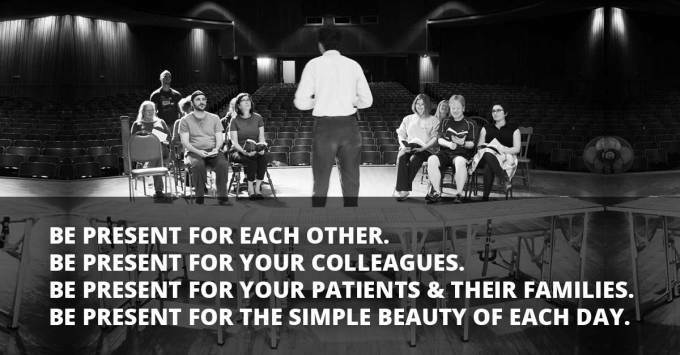 Be present for your patients and their families. Be present for the simple beauty of each day. Strong and courageous acts, to be sure. 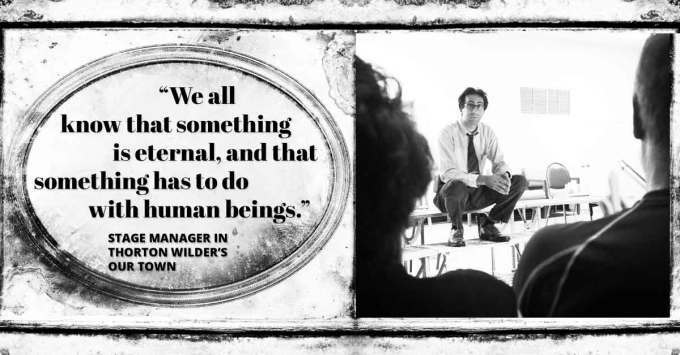 Hear, in their own words, about the journey that this cast of colleagues has had and the impact that the play has had on their lives. The MCES production of Our Town was also featured in The Philadelphia Inquirer. Photographs courtesy of Paul Butler. In the comments we’d love to hear from you: What does it mean for you to be present and what are the consequences when you’re not?